Christopher Brown appeares before a judge Saturday morning. (Source: Connor McCue). Javon Gibbs appears before a judge, Saturday morning(Source: Connor McCue). HORRY COUNTY, SC (WMBF) - One of two men charged with the kidnapping and murdering of Zachary Malinowski is behind bars after a shooting that occurred in November. According to Lt. Denis, Christoper Brown is charged for attempted murder. Police say Brown, along with two others were inside a vehicle November 6 and involved in a verbal altercation with the victim. The altercation escalated to the point that gunfire erupted. The victim suffered a single gunshot wound to his left leg that required surgery. According to police, Brown is charged with Attempted Murder, Possession of a Weapon by Person Convicted of Violent Felony, and Possession with Intent to Distribute Marijuana in this case. Brown is in custody at the Horry County Detention Center, according to Lt. Denis. Brown is one of two suspects charged with murder in the Malinowski case. Bond was previously granted for the two men charged for killing an Aynor teenager who was reported missing in August 2013, according to Horry County Assistant Solicitor Stephen Grooms. 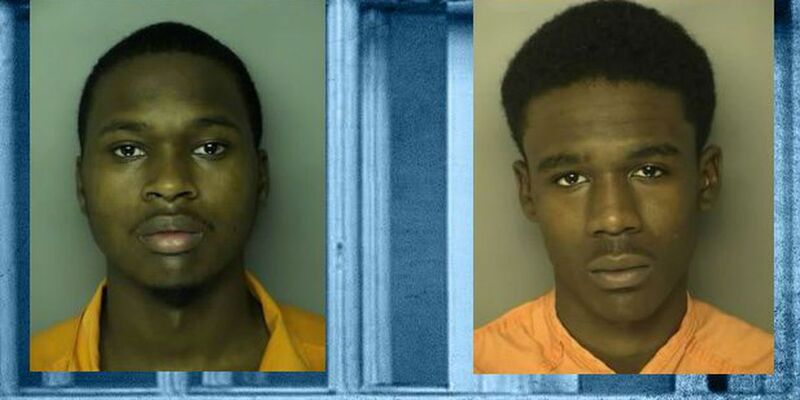 Judge Benjamin Culbertson granted bond for both Javon Dion Gibbs and Christopher Anfony Brown on Wednesday, May 20. Bond was set at $50,000 for each of the accused; $20,000 for the kidnapping charge, $30,000 for the murder charge, said Grooms. Neither suspect has posted bond as of Thursday, May 21. Police say they determined that in the early hours of August 26, 2013, Brown and Gibbs abducted Malinowski from his home and took him to the western portion of Horry County where he was killed. Since his disappearance, the family of Malinowski has offered large cash rewards and held several vigils and memorial services ?in his honor. Malinowski's step-father also drafted “Zack's Law,” which was designed to protect the civil rights of missing persons by creating power of attorney for their unfinished business, bills and private accounts. Malinowski was 19 years old when he went missing. Brown and Gibbs appeared before a judge Saturday morning at 9 a.m. Bond was denied because it cannot be set by a magistrate judge for the murder charges - that must be decided by a circuit court judge. Brown and Gibbs were formally read their charges and they said they will be seeking their own attorneys. WMBF News first reported on Zack's disappearance in August 2013. Click the link, here, to review.